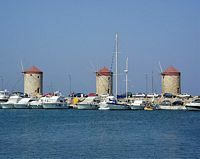 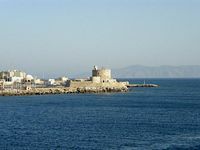 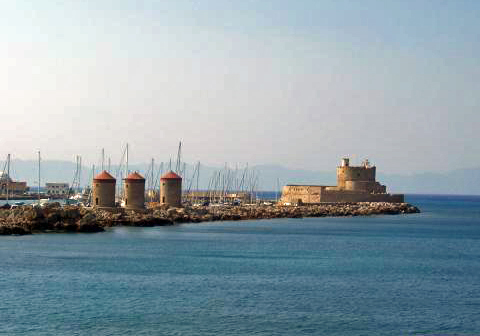 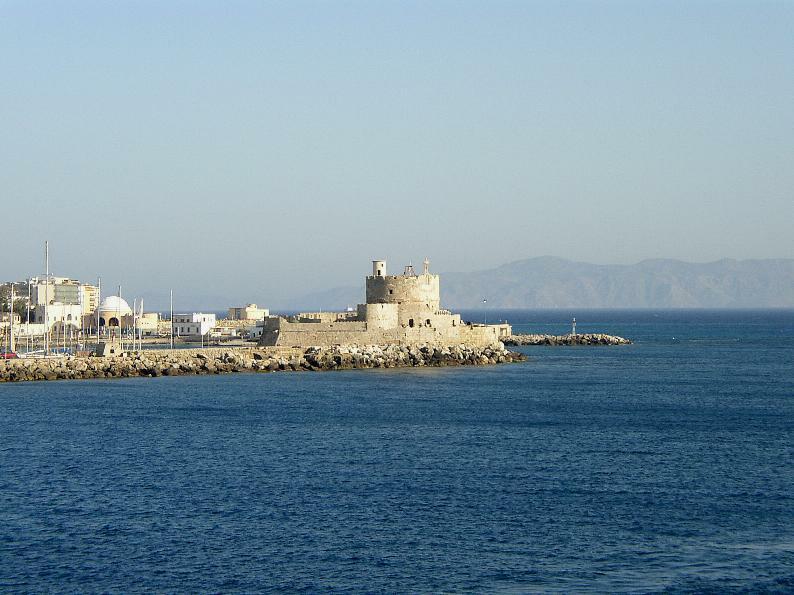 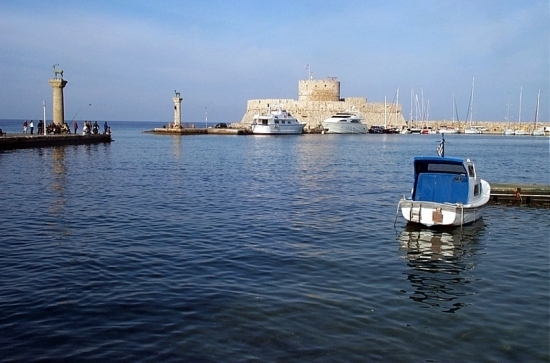 The small harbor is likely Mandráki port Rhodes since antiquity , it was used by the Knights of Rhodes to moor their fleet. 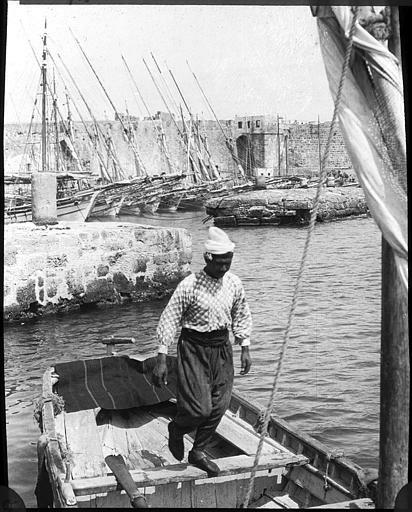 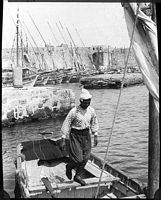 The name comes from the Greek word Mandraki μάνδρα barn or stable meaning, and refers to a closed port walls. 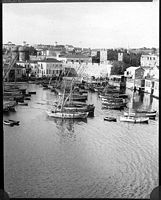 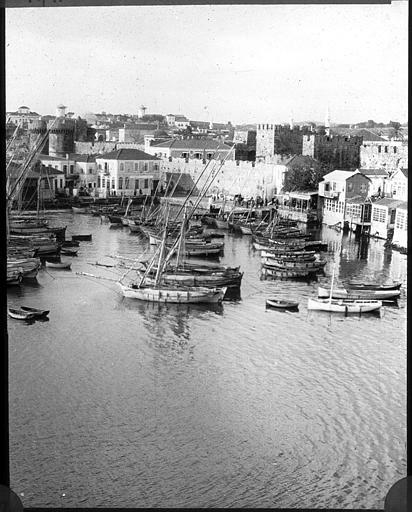 In Italian, the port was called Mandracchio. Mandráki is located north of the commercial port Emborió which it is separated by a long dyke dotted with windmills. 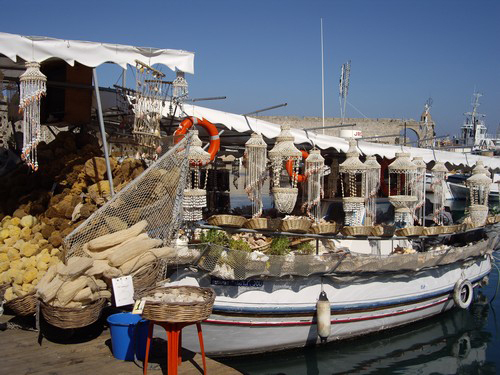 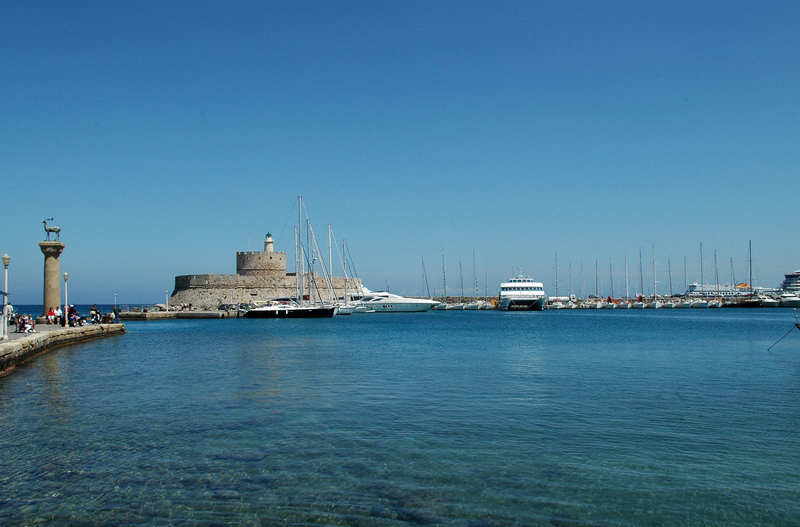 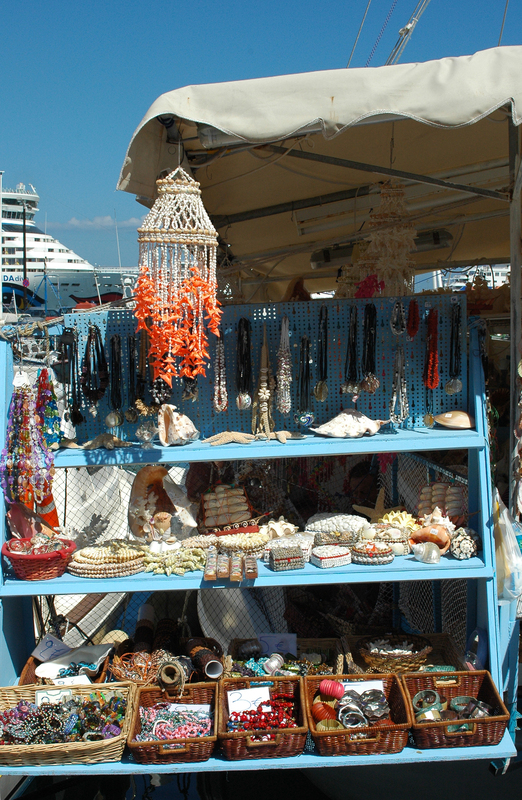 At the junction of the old and new Rhodes , the port of Mandráki is now transformed into a marina for pleasure boats, boat trips and boats, quaint colorful shops selling enough products of local handicrafts (sponges, shells, coral). 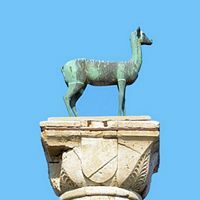 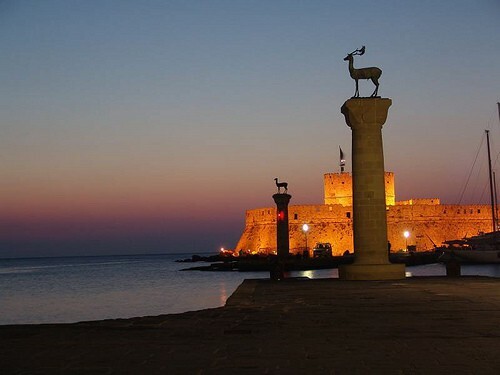 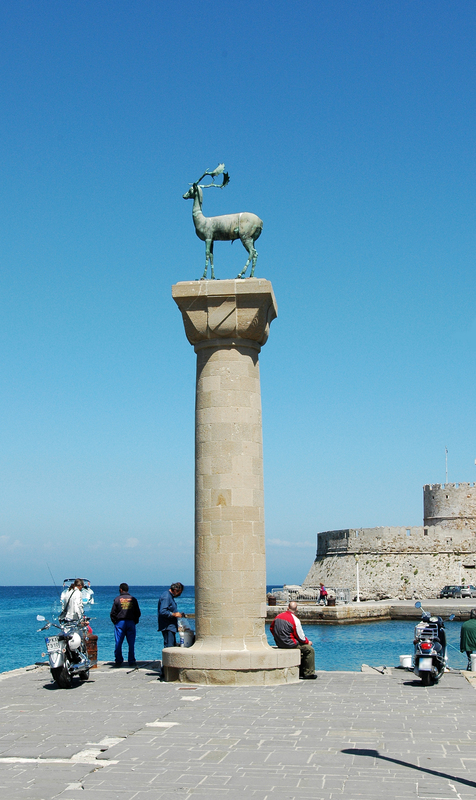 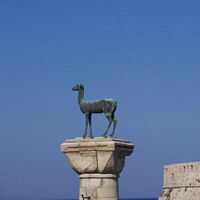 The harbor entrance Mandráki two columns of bronze on which are represented the animals which are the emblem of Rhodes : Elafos and Elafina, stag and doe. 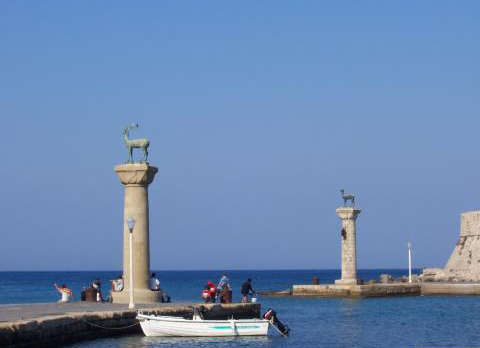 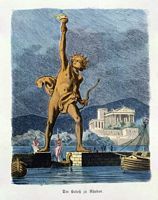 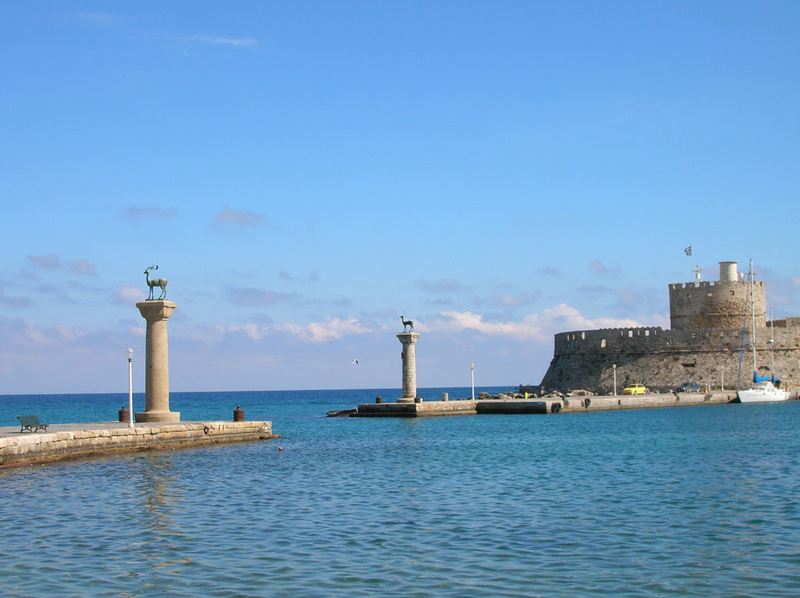 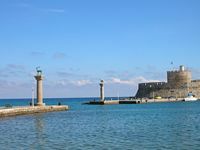 These columns are located where once, according to legend, would draw one of the seven wonders of the world, the Colossus of Rhodes , a bronze statue of 33 meters high representing Helios, the sun god, which would served as both a symbol of power and light. 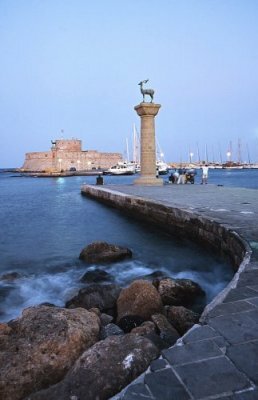 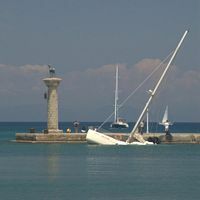 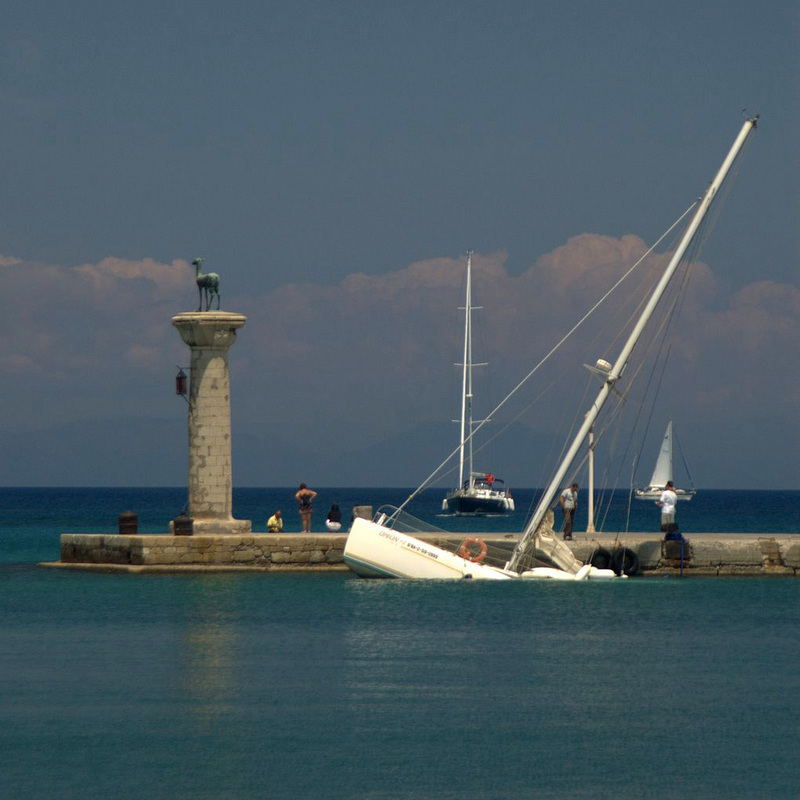 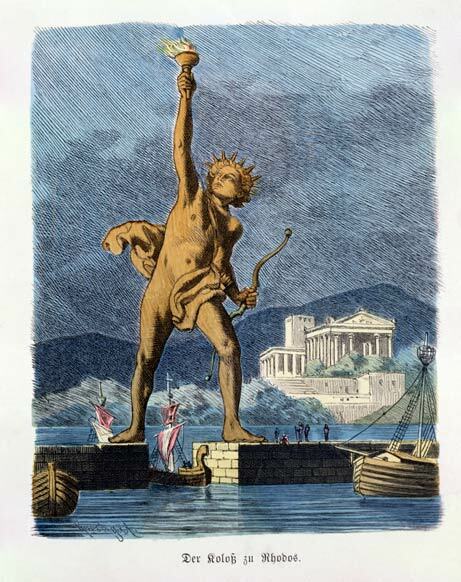 According to legend, the statue straddled the harbor mouth, this legend has not been confirmed by historians. 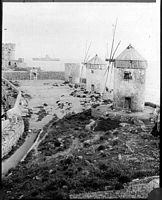 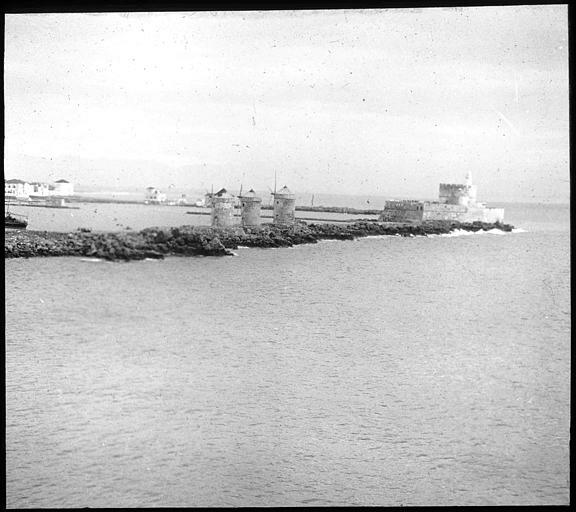 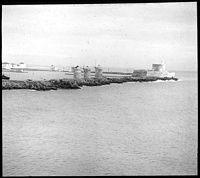 At the end of the jetty 400 m long held the Fort St. Nicholas defending first assaults the city. 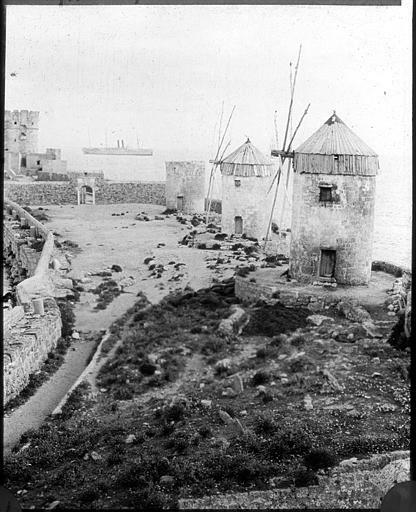 Mandráki port is protected by a breakwater approximately 400 meters long which still stand three old windmills. 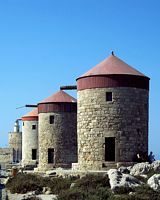 These three mills on the thirteen who were there, were once used to grind grain for the city and for cargo ships. 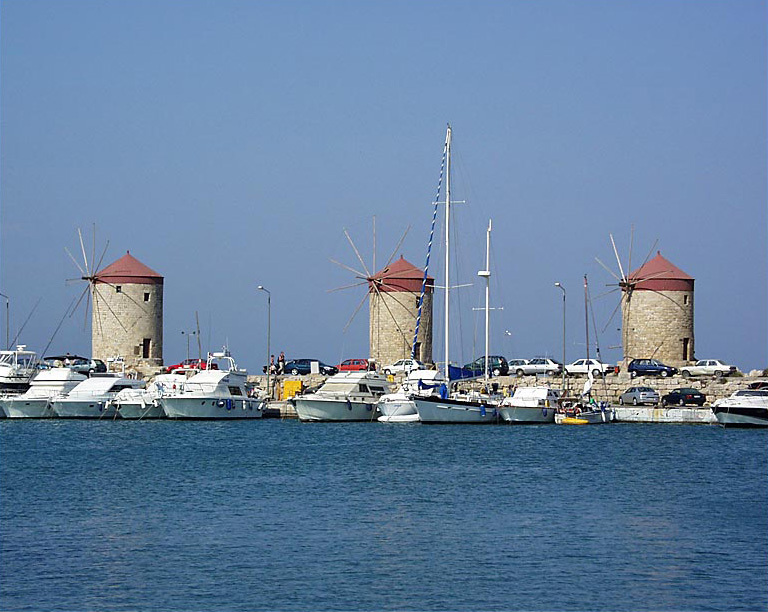 Today, the wings always turn the wind mills but have no activity. 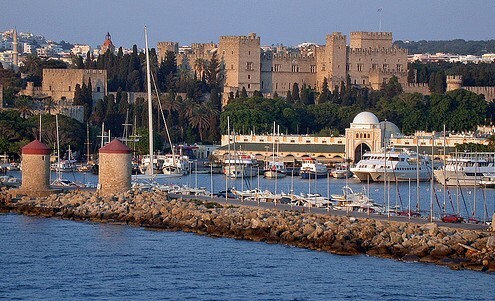 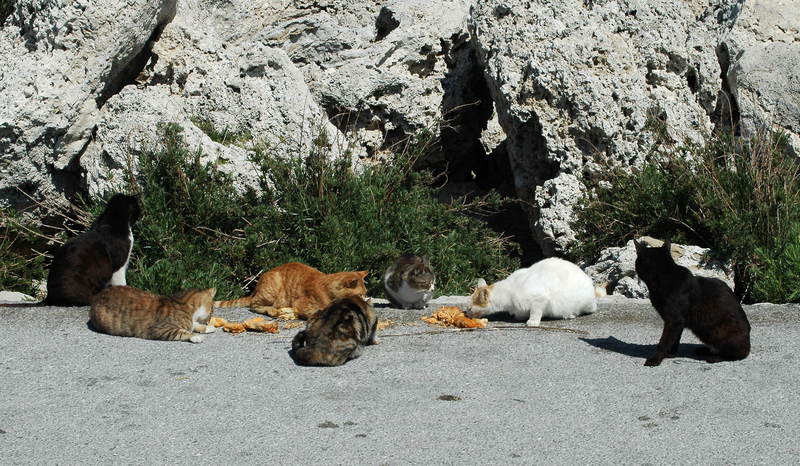 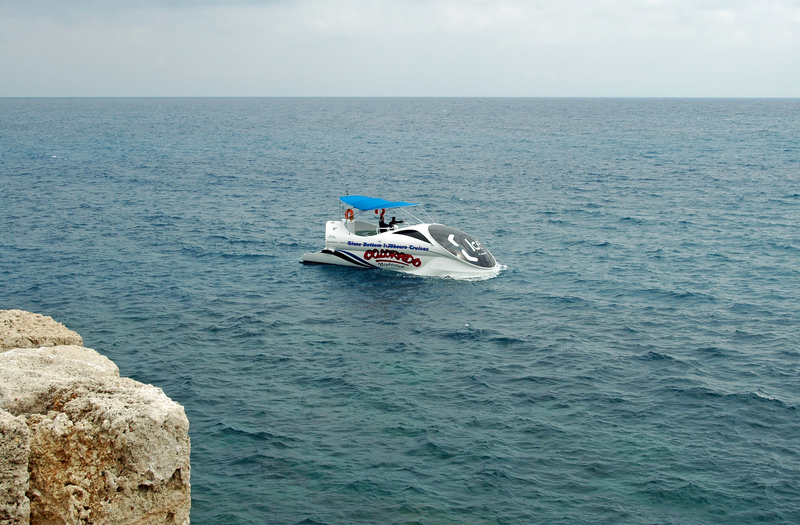 Mandráki, you can go on excursions by boat or hydrofoil to the nearby islands or even Turkey.